Email turned 46 years old in 2017, and in that time, it has transformed every aspect of how we work and communicate with each other. Now, more than 2.6 billion people use email to exchange 215.3 billion messages a day, with traffic increasing every year. The average person has 1.8 email addresses, and those addresses aren’t simply used to exchange messages; they are also logins and identifiers for social media accounts, website logins, rewards programs, and more. 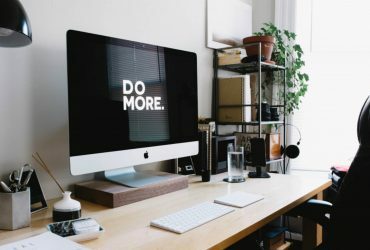 Particularly in the world of business, email is an essential communication tool, but, unfortunately, email has also been shown to have negative impacts on productivity. The average worker receives 304 business emails a week, checks email 36 times an hour, and spends a staggering 4.1 hours a day on work-related emails. Not only the active task of checking an inbox but the smaller distraction of attending to notifications, costs valuable time in task-shifting. It can take 16-20 minutes to recover full focus and concentration after each interruption. Furthermore, studies show that only 38% of emails contain important, relevant information, while 62% are not important. 87% of white-collar workers check email outside of work hours. 80% of workers check email before going to work in the morning, and 30% check them before they even get out of bed. With 65% of all email communication happening via a mobile device, work emails are eating into personal time at an ever-increasing rate. In short, while many of these emails are important and contain relevant information, the way in which most workers use email hurts productivity and workplace performance. While the increasingly low signal-to-noise ratio, the use of email instead of instant, chat-like messages, and the intrusion into personal time are also challenges that pertain to company and workplace culture in general. It’s clear that individual users need to adopt strategies to help better manage their inboxes and their time. 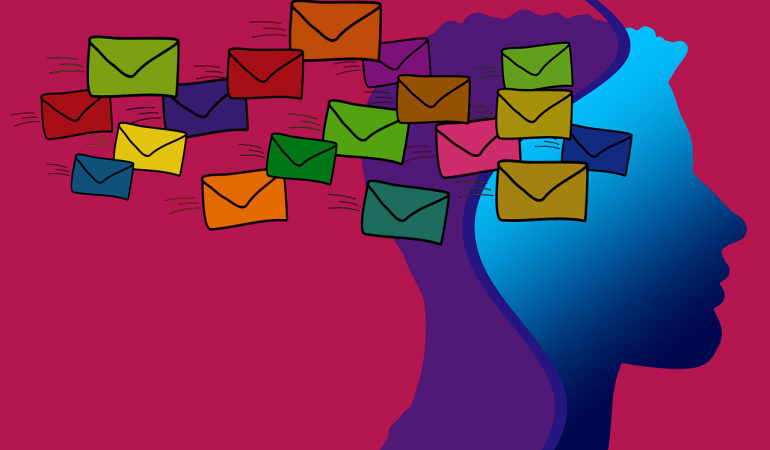 Effective email management relies partly on user habits and partly on adopting effective tools. 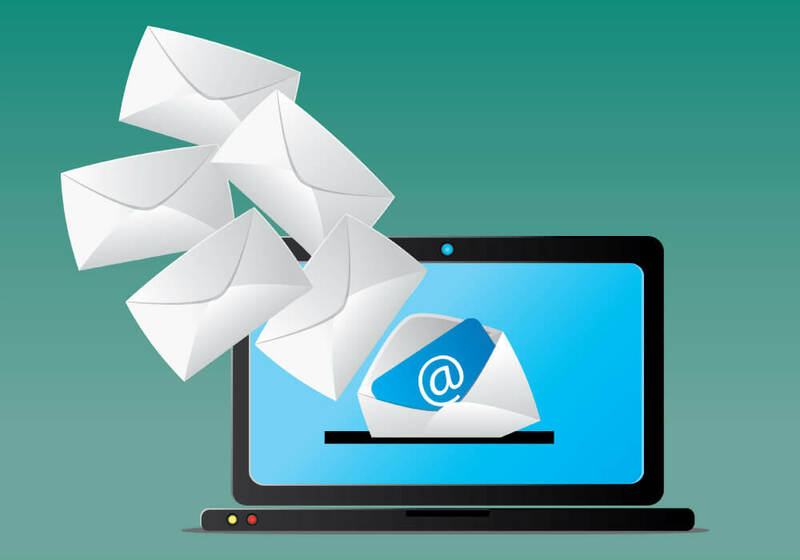 It’s important to use the right technology solutions to manage email traffic and communicate effectively. But it’s also important to cultivate personal habits that keep your workday efficient and productive. Studies show that restricting email checking to specific, designated times in a day, and signing out and silencing notifications in the meantime, both increases productivity and reduces stress. 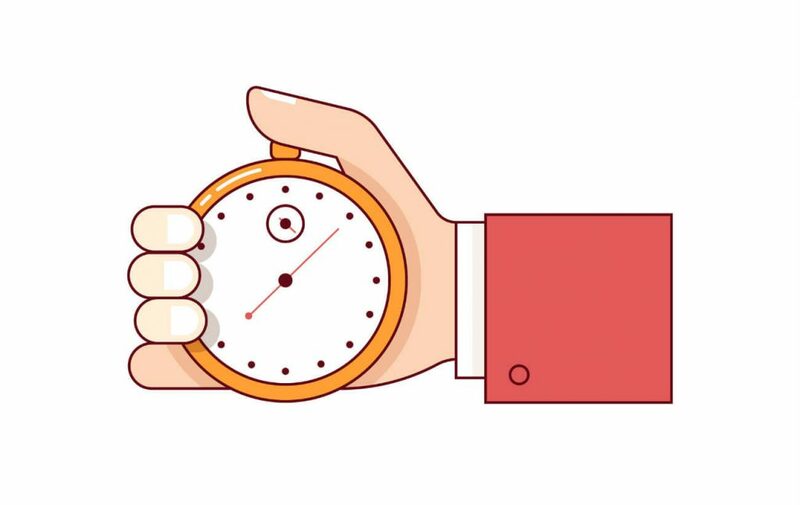 The total time investment may be the same, but spending an hour on email first thing in the morning, before lunch, mid-afternoon, and at the end of the day, preserves the ability to concentrate on specific tasks. Managing email is time-consuming and this is why we have to do it wisely. Designated, batch-processing times increase productivity and work quality, as well as reduce stress and lower heart rates. Skip email altogether when it’s not the right communication tool for the message. At any given time, your inbox probably contains memos, tasks, meeting invites, important messages, and junk. Sometimes a phone call communicates faster and more effectively. Adopt an instant message or chat software for short messages that need quick replies. 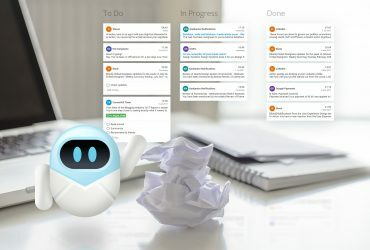 And use an email management software like Flow-e, that allows quick sorting, delegating, and follow-up of emails, reducing time spent searching and managing your inbox. A dashboard-style tool that helps you swiftly sort and categorize these different kinds of content makes managing your inbox faster and gets you back to work. This email management best practice comes as a surprise. This may be the most difficult thing to do, but switch off work emails outside of work hours. Your friends and family, even your favorite game or TV show, deserve your undivided attention. Protected personal time is essential for your physical and mental health and actually improves performance during work time. 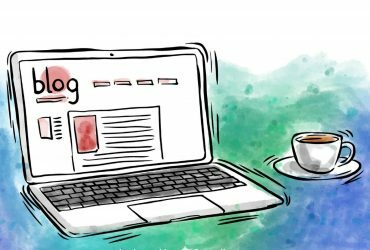 Finally, email traffic can be reduced overall, or made more useful and relevant, by making some simple changes to your writing style. After all, a huge amount of time spent writing an email is time spent clarifying prior emails, a trend that is maddening for everyone. Everyone knows how frustrating it can be if a thread has gone on for some time and the original subject and distribution list no longer applies to the present conversation. Long threads with off-topic subject lines make email management even more difficult. Before you reply-all, check the subject and the distribution list. This tip makes managing email easier. If necessary, start a new conversation with the right people and the right topic. We all have the type of emails that we send over and over. Strip the “Re:” part in the subject line, update the details in the body, and press send. Open the email with the purpose of the email and the desired result, in just a sentence or two. If necessary, you can go on to include details and reasoning, but opening with action items focuses the reader’s attention and makes your goal clear. “Touch it once” means that once you open a message, you have to review it and then act on that email, to do something with it. This email management best practice saved me lot’s of minutes. Don’t mark it unread once it is read (this is why we don’t have the option to mark an email as unread in Flow-e). If you let an email to sit there for a second review, this will waste time and energy. When writing emails, use clear and concise language. Use as few words as possible. Answer emails as soon as you receive them. If you didn’t respond immediately, I would suggest that you inform the sender that you have received the message and you would be in touch shortly. Don’t forget to set a deadline and follow up as soon as you can. If the email is addressed to a group of people, make it clear which action items are assigned to which individuals. Emails with vague requests for action are likely to be disregarded. Or, worse yet, lead to a bunch of replies which are simply clarifications of the original request. One email management tip is to keep the most important correspondence between colleagues, clients, and employees in case you need to clarify any miscommunications. Most email management software programs let users organize messages with the help of categories, labels, or tags. Keep your inbox organized. The better your inbox system, the easier it is to find emails when you need them. Sometimes it’s necessary to acknowledge the receipt of an email, but nobody wants an inbox full of simple acknowledgments that aren’t even addressed to them. Use reply-all sparingly and only when necessary. Don’t waste people’s email management time. In today’s business world, it is not necessary to close an email with a salutation. While including “best regards” in your signature might be an old habit, it’s not necessary, and can add clutter to a long thread. Clean out the clutter by unsubscribing from unwanted newsletters and promotions. If you haven’t read a particular two weeks in a row, then you don’t need it. In today’s working world, you are responsible for managing your own work time and output. 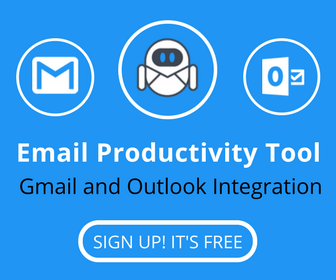 Build personal, social, and technological systems that support your productivity, and reduce time and attention spent on distractions and unnecessary communication. 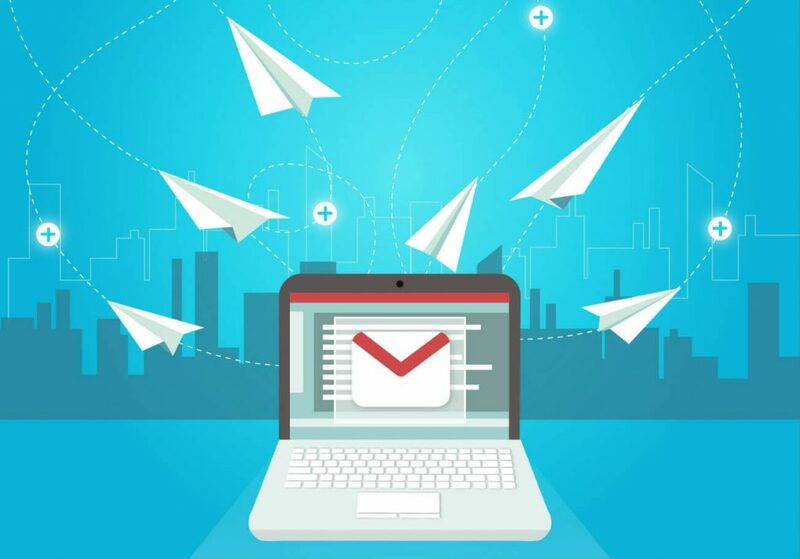 Following these email management tips can save time, preserve the quality of your work, increase the quality of your communication, ease follow-up and reduce forgotten tasks, and make you a happier person. Read also: How Can a Personal Kanban Tool (Software) be Applied to Work and Life?